Clearly explained engineering concepts and fun, simple projects give kids ages 7-9 the chance to put their STEAM knowledge to the test! Teach kids to think like an engineer! The engaging projects in this book will encourage kids to investigate using items from around the house. Build a robot arm out of rulers; learn about jet propulsion with balloons; crush toilet-paper rolls to explore materials; and much more. Read about how engineers use STEAM subjects and their imaginations to think critically and solve problems. Be inspired by engineering heroes such as Leonardo da Vinci, Mae Jemison, and Elon Musk. Fun questions, engineering experiments, and real-life scenarios come together to make engineering relevant. 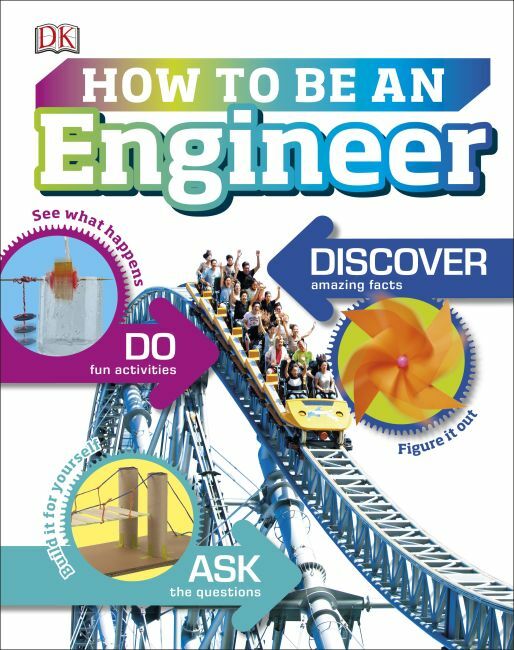 In How to Be an Engineer, the emphasis is on inspiring kids, which means less time at a computer and more time exploring in the real world.